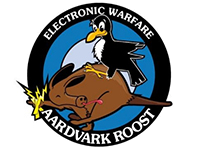 An organization for individuals who have a common interest in Electronic Warfare and who wish to foster and preserve the art of Electronic Warfare. To promote the exchange of ideas and information in the field of Electronic Warfare. To recognize the advances and contributions to Electronic Warfare. To document the history of Electronic Warfare. To commemorate fittingly the memory of fellow Crows. Foster the dissemination of new knowledge. Further the professional development of those engaged in related scientific engineering, management and operational activities. Improve public understanding of the profession and its contributions. Encourage education in appropriate engineering and scientific specialties. The Chapter shall be civilian in nature and shall not be used for the dissemination of partisan principles, nor for the promotion of the candidacy of any person seeking public office or preferment, nor for promotion of any commercial enterprise and will be a non-profitable organization. All members of the Association of Old Crows who reside in the Republic of South Africa (RSA) shall be eligible for membership.